veni ad redimendm nos in brachi extento. 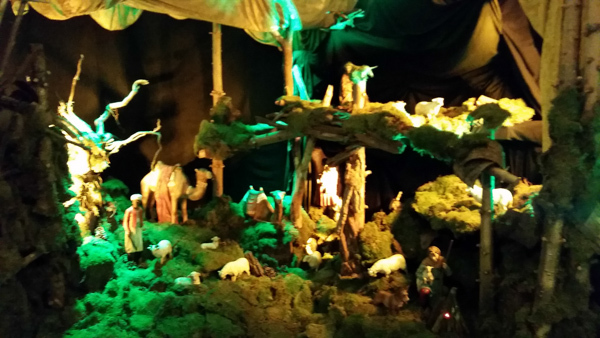 This entry was posted in Christianity, Christmas and tagged Advent, Christmas, O Adonai, O Antiphons on December 18, 2016 by frjfkauffmann. 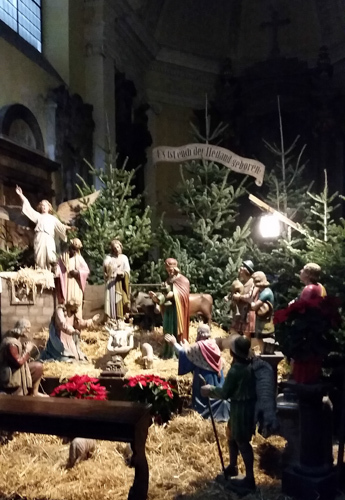 For nearly 1200 years the Roman Church has been chanting the O Antiphons as the way to count down the days from December 17th to the Solemnity of the Nativity of Our Lord. 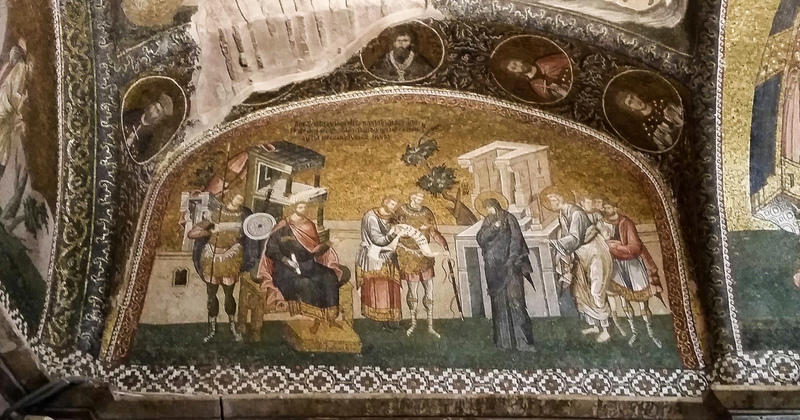 Acclamations to the pre-existent Eternal Word are drawn from imagery of the prophetic tradition of ancient Israel. 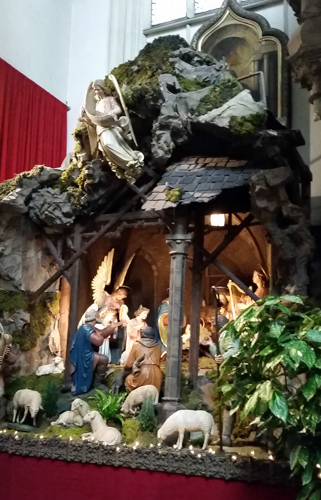 As we wait to proclaim the Incarnation of the Eternal Word in Jesus who is Emmanuel, may we count down the days in eager anticipation for that solemn moment when we profess our faith: The Word became flesh and dwelt among us. 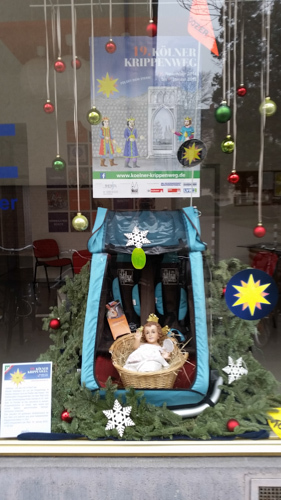 O come O come Emmanuel! 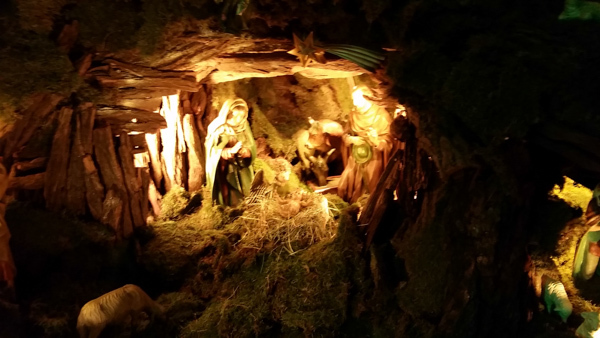 This entry was posted in Christianity, Christmas and tagged Advent, Chant, Christmas, O Antiphons, O Sapientia on December 17, 2016 by frjfkauffmann. Melkam Gena! That’s “Merry Christmas” in Amharic, in case you didn’t know. Today in Ethiopia, the majority of people are feasting and celebrating. 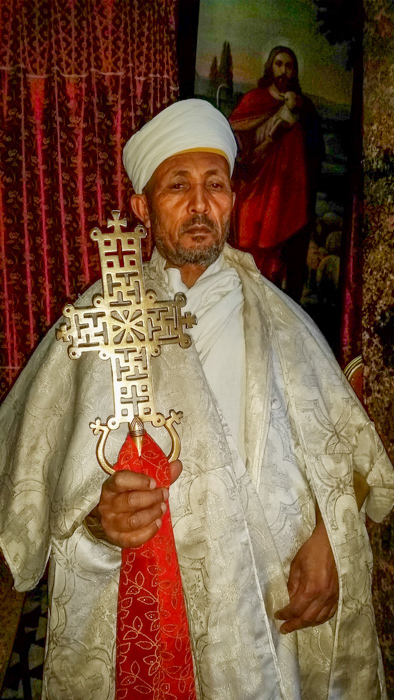 It’s Christmas for Orthodox Christians around the world, and the majority of Ethiopians are Ethiopian Orthodox. (Read the rest at Aleteia). here, or see all of the posts using the Ethiopia tag, here. 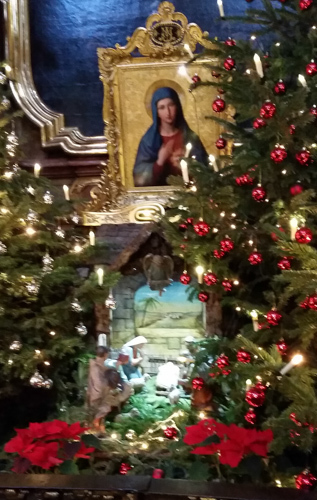 This entry was posted in Christianity, Christmas and tagged Christmas, Ethiopia on January 7, 2016 by frjfkauffmann. 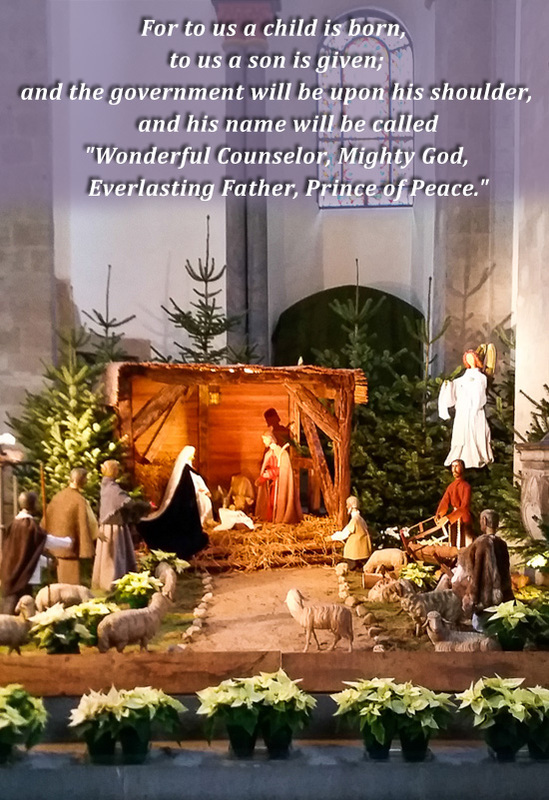 May our incarnate Lord bestow his many blessings upon you and your family on this Christmastime. 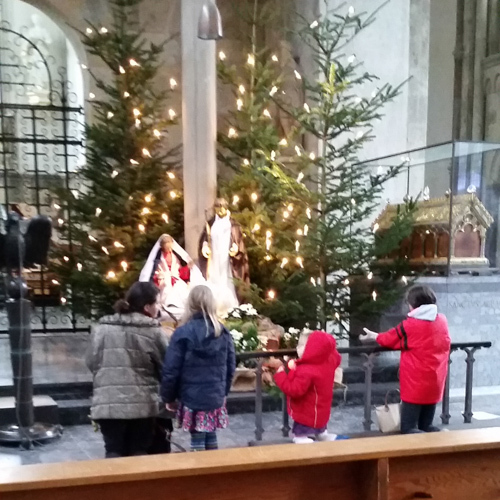 During this Christmas may we keep in our prayers in a special way our persecuted brothers and sisters in the Middle East. I also share with you this beautiful Arabic Christmas hymn. This Christmas I pray in hope that one day the Middle East, the birthplace of Our Savior, may be at peace and that Christians be an important part of the future of the Middle East. May the Lord once again reign in human hearts that seek the good of their brethren: Muslim, Jew, and Christian. 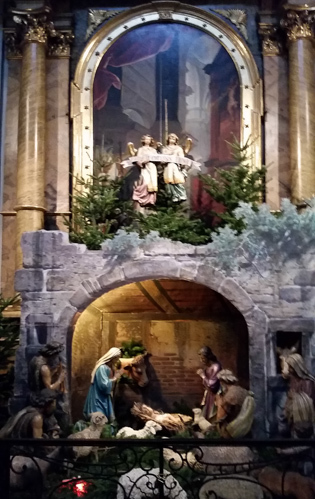 This entry was posted in Christmas, Feasts and tagged Christian, Christmas, Middle East, praesepio on December 25, 2015 by frjfkauffmann. 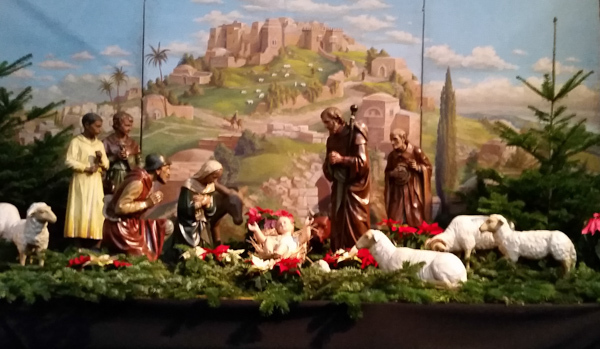 This entry was posted in Feasts, Sacred Heart Parish and tagged Christmas, Music, Sacred Heart Parish on December 24, 2015 by frjfkauffmann. 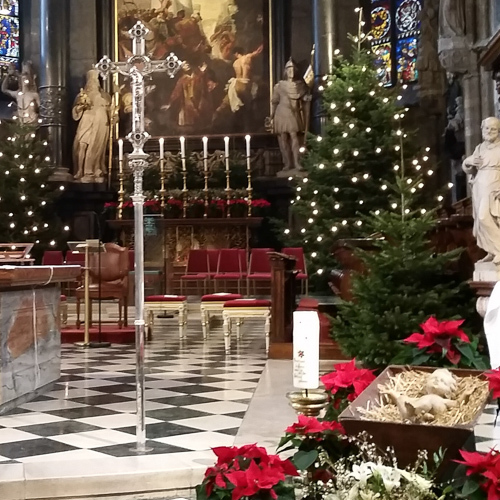 On Friday evening I was invited to attend the Williams School service of Lessons and Carols in Christ and Saint Luke Church. When I arrived at the school, all the students were lining up with the lanterns and candles forming a procession to the church. 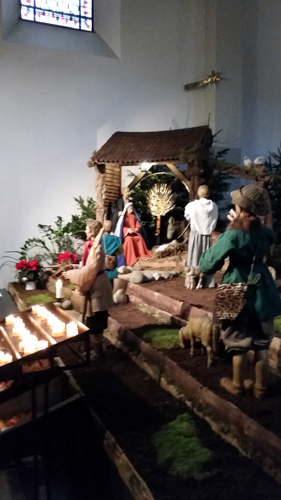 On the way to the school, I noticed churches announcing candlelight Christmas Eve services as well as so many candles in the windows of homes with Christmas trees, with lights shining in the darkness of the streets. This scene gave me pause to ponder why candlelight always attracts us. 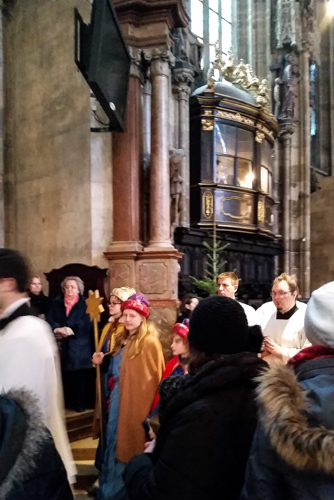 My thoughts turned to the chant “O come, O come, Emmanuel” that the Roman Church has been chanting for almost 1200 years during the season of Advent. This chant holds a treasure trove of biblical imagery drawing from the Messianic hopes of the prophets of ancient Israel. let him descend from the clouds like the rain. 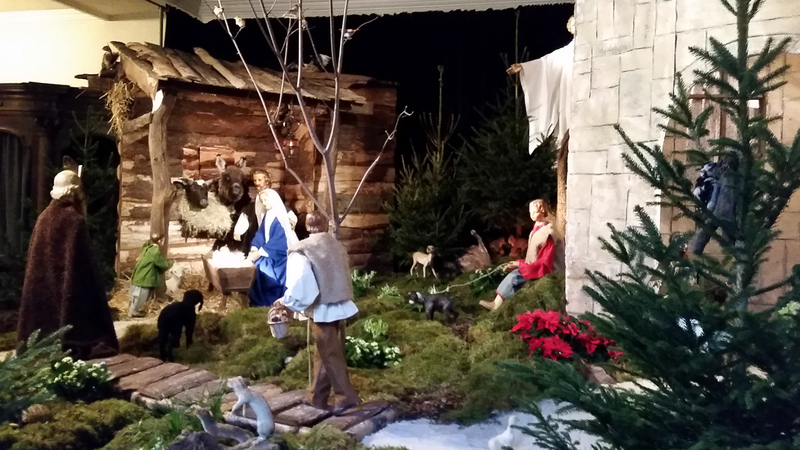 The earth will open up and give birth to the Savior. This wonderful Introit is inspired from the prophetic text of Isaiah. The dew that comes down from above is the eternal Word who takes upon himself our humanity, our earthliness, and comes forth from the Virgin Mary who gives birth to the Incarnate eternal Word of God. O radiant light, splendor of eternal day. 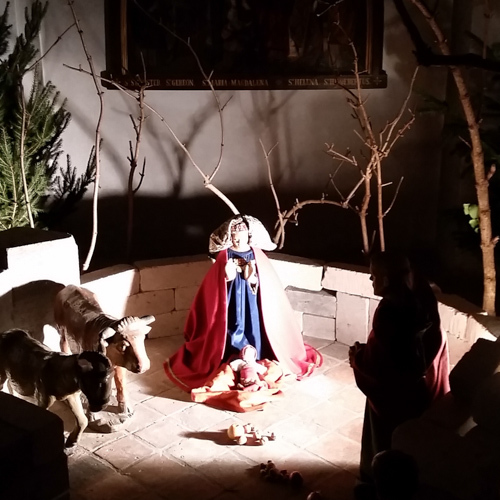 During these final days of Advent, take some time to walk through the neighborhood in the cold of the night marveling at all the lights dispelling the darkness. 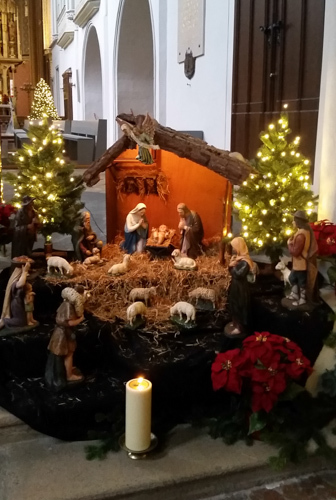 Each light is proclaiming that the gospel “O Radiant Dawn, splendor of eternal life” has come into the world, the Word made flesh and dwelt among us. 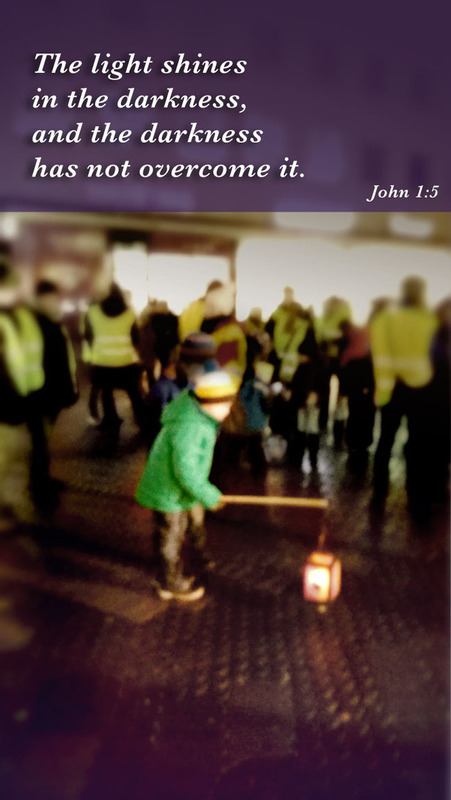 A boy with a lantern. 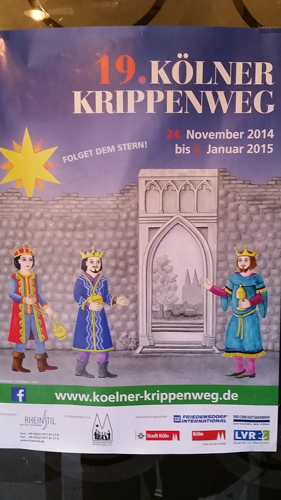 Nuremberg, December 2014. 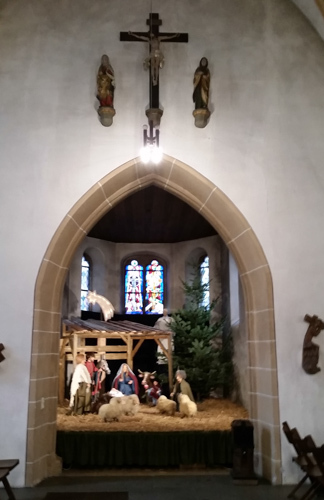 This entry was posted in Christianity, Liturgy and tagged Christmas, light, O Antiphons, Rorate on December 20, 2015 by frjfkauffmann. 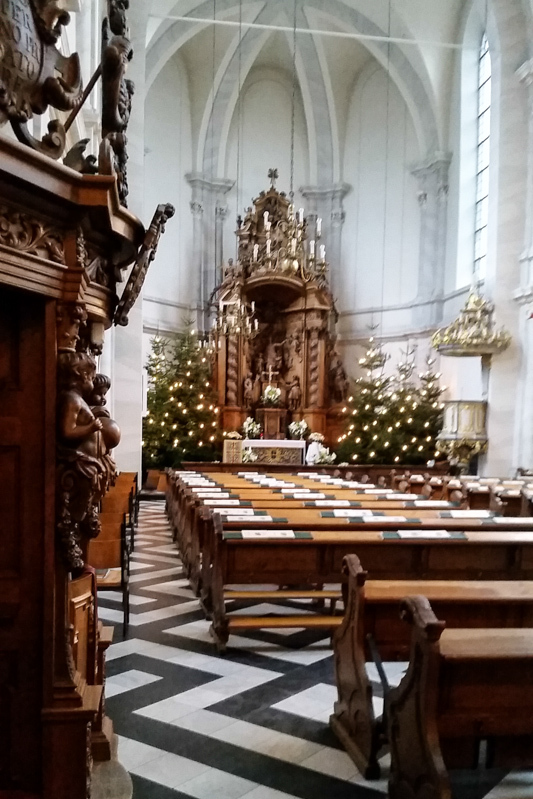 Since it is almost Christmas, I thought readers would enjoy some pictures from last Christmastime, from Germany and Austria. 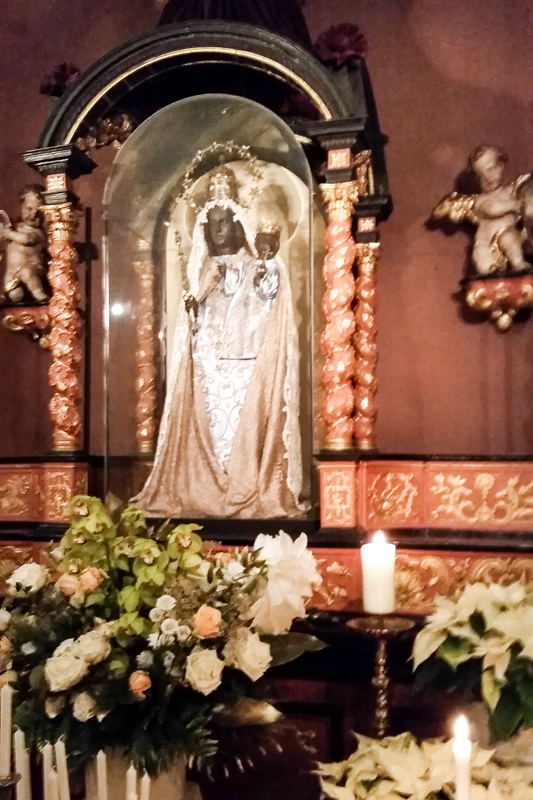 To start the series, here are some pictures from Saint Maria in der Kupfergasse, in Cologne, Germmany. 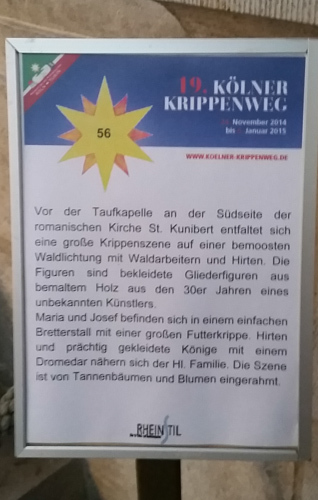 This entry was posted in Europe, Feasts and tagged Christmas, Cologne, Saint Maria in der Kupfergasse on December 18, 2015 by frjfkauffmann. 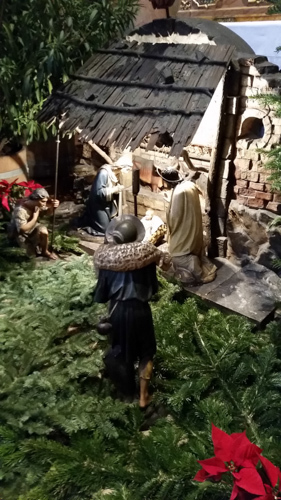 Epiphany, when the mystery of the Incarnation was made manifest to the kings! 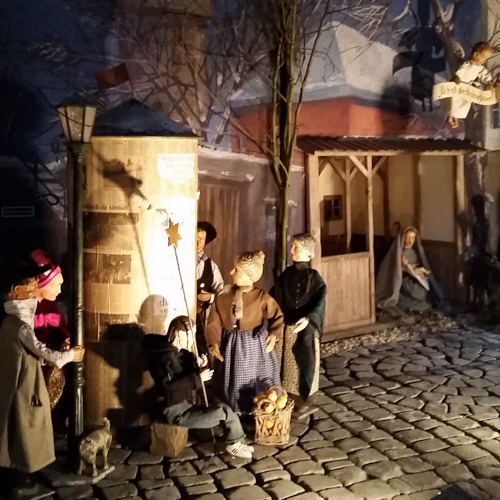 A manger scene, or crèche, or presepio/praesepio, or, in German, krippe, can be found in most churches at Christmastime. 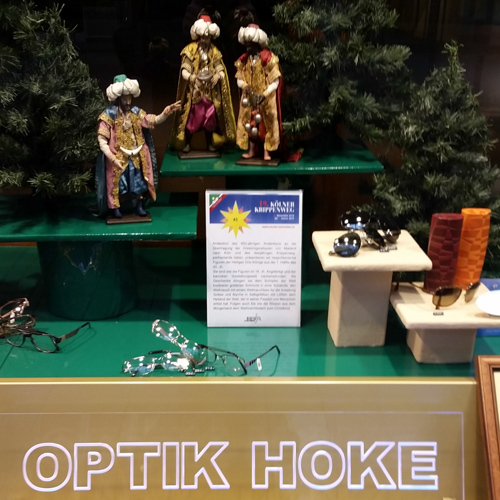 I found that the city of Cologne has a pilgrimage where you follow the “stars” to visit the cribs, not only in churches but in some shop windows. 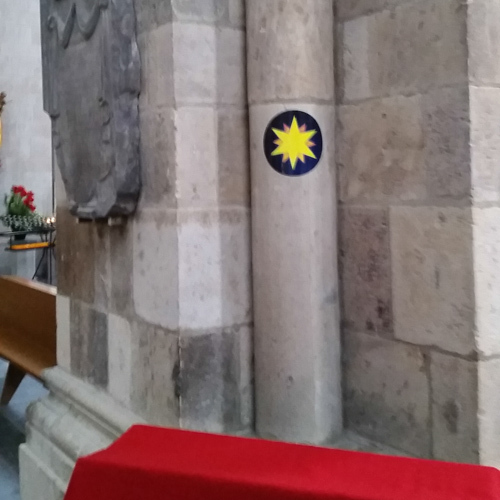 Sternsingers, “star singers,” carrying the star, in Vienna. 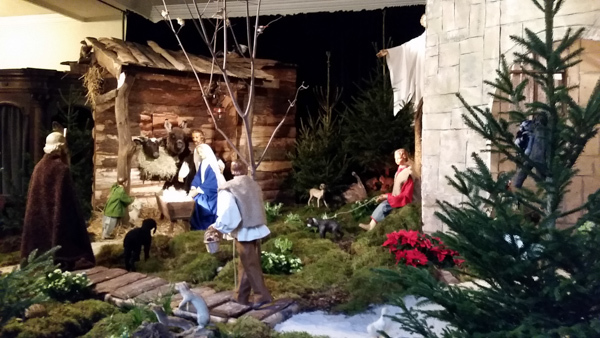 Enjoy these cribs, from Bingen, Frankfurt, Cologne, and Vienna. 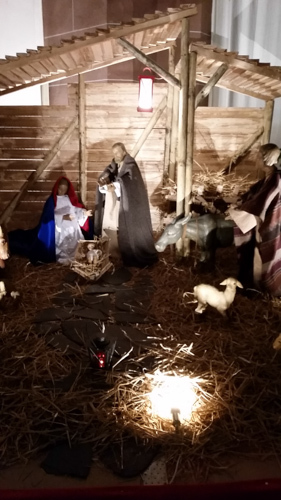 This entry was posted in Christmas, Europe, Feasts and tagged Christmas, creche, crib, Epiphany, Germany, krippe, praesepio, Three Kings on January 7, 2015 by frjfkauffmann.